Turbulence isn’t a very long book, and yet it somehow feels like it encompasses a great deal more ground than it actually covers. I think this is due in part to Basu’s sparse and fairly rapid style, the way that he shifts from one scene to the next as soon as he’s established whatever he wanted to cover. I admire the way in which he spares so little time for unnecessary details or scenes, and I can only imagine that he’s put a great deal of time into editing down his own work in order to cut away all extraneous detail. It’s something that I’d very much like to practice more myself. Going hand in hand with that, the pace shifts rapidly at times yet still manages to hold my focus. I wouldn’t have expected such fast-paced shifts, moving from slow to fast to slow and back again, as I’m more used to a consistently rising action. But they work well here, and finish out with all the requisite features of a good climax. Better yet, they cover a broad and internally convincing shift in the characters’ beliefs, setting up a series of transformations that lie at the heart of where I think the sequel is going to start, and from which I believe it will grow. Now, some superhero stories feel really stupid because the supers themselves appear to fundamentally lack an understanding of the potentials of their powers. That doesn’t happen here. I certainly think that there are points at which the powered people don’t fully make use of their abilities, but I didn’t notice any particular time at which the characters seemed to fail due to their own stupidity, or due to stupidity enforced on them by the plot rather than because it seemed like what they would do. It didn’t seem like anyone had to hold the idiot ball for a long period of time, and I didn’t notice the idiot ball truly crippling any given individual the way that it does in any number of other superhero narratives. I guess what I’m trying to say is that all of the stupidity I see in this appears to be something that follows directly out of the characters themselves. Some people lack much imagination, and that’s made pretty clear. Some are very nearly trapped within their own archetypes. But it feels genuine rather than forced, and I really like the end result. I’m going to avoid giving you any outright spoilers, so I’ll leave it there. Check this book out. 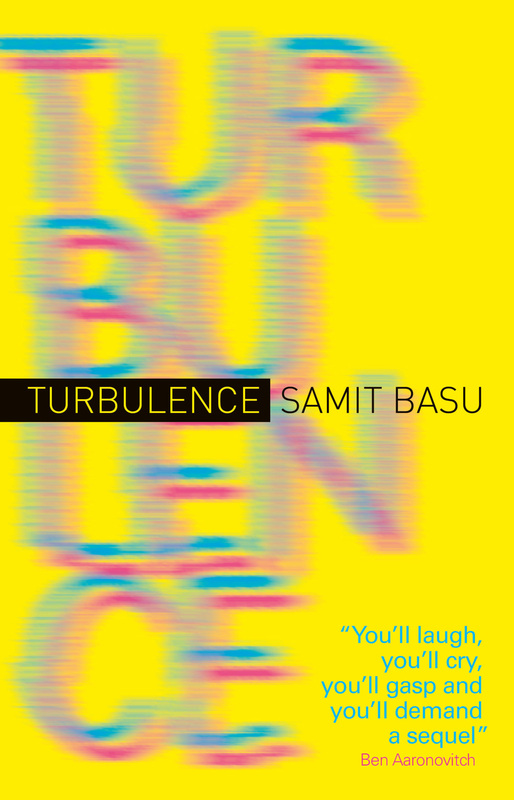 This entry was posted in Books and tagged comics, India, Samit Basu, Superheroes, superpowers, Turbulence. Bookmark the permalink.